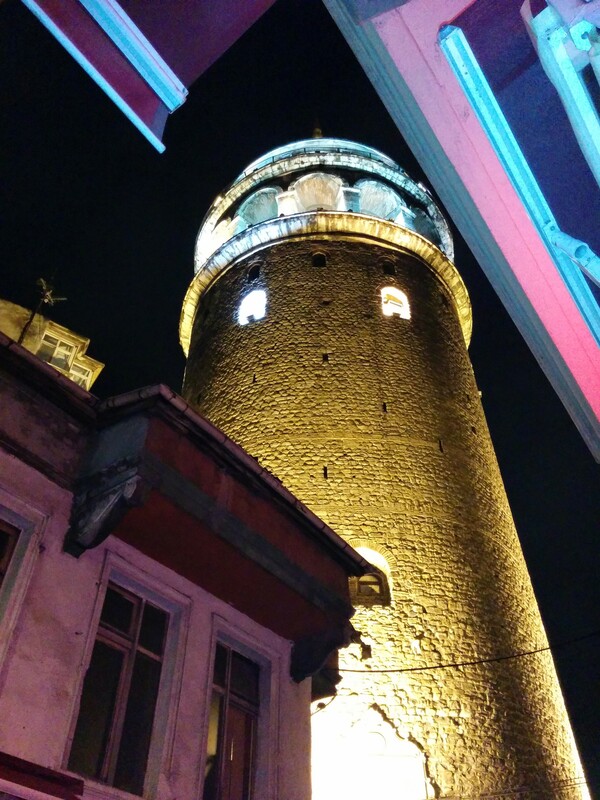 Istanbul: Parfait, The Museum of Innocence & the case of the missing kebab. NB: I know I'm ignoring all the wonderful sights of Hagia Sofia, the bustle of the Grand Bazaar, the Blue Mosque and a thousand other notables. Read of them elsewhere dear friend. I’m not sure why it took 45 years for me to reach Istanbul. Then listening to the BBC news today here in England, it’s only getting airtime as the transit point for radicalised folk heading from, well, pretty much anywhere (but for the Beeb, the UK) into war torn Syria to answer their calling. This left me frowning because the place itself is an utterly beguiling parfait, not just a footnote to a negative headline. 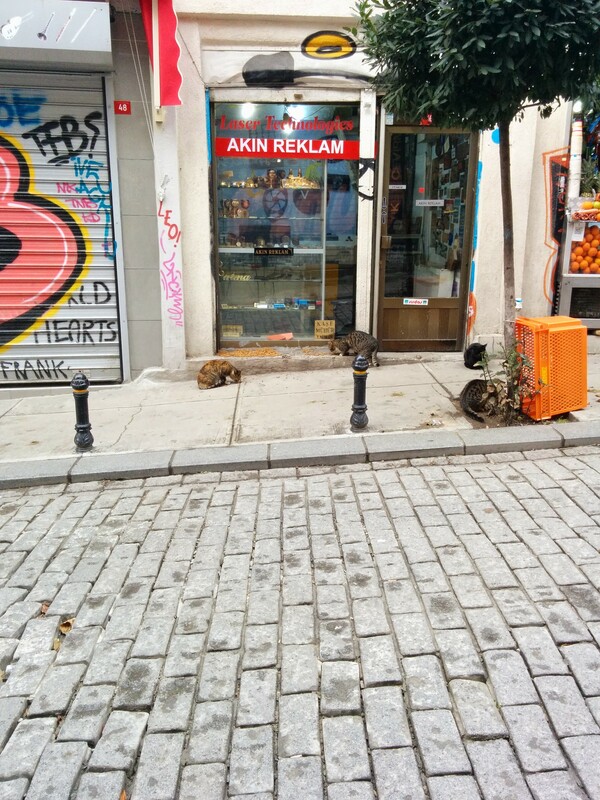 Well, Istanbul – as it is known these days – is so very layered. In striking, slap-in-the-face ways and subtle, creep-up-on-you ways which are no less magnificent, moving and oft unexpected. Plus all the layers in between. I’ll pick on a couple of unexpected layers by way of illustration. Of course, it is the city betwixt East & West. A short, delightful ferry ride across the Bosphorous from thriving Eminönü (in Europe) to Üsküdar (in Asia). You’re crossing a sea although your brain keeps referring to it as a river. More than that, you’ve crossed between continents. You also cross between aeons in simply walking down the street. 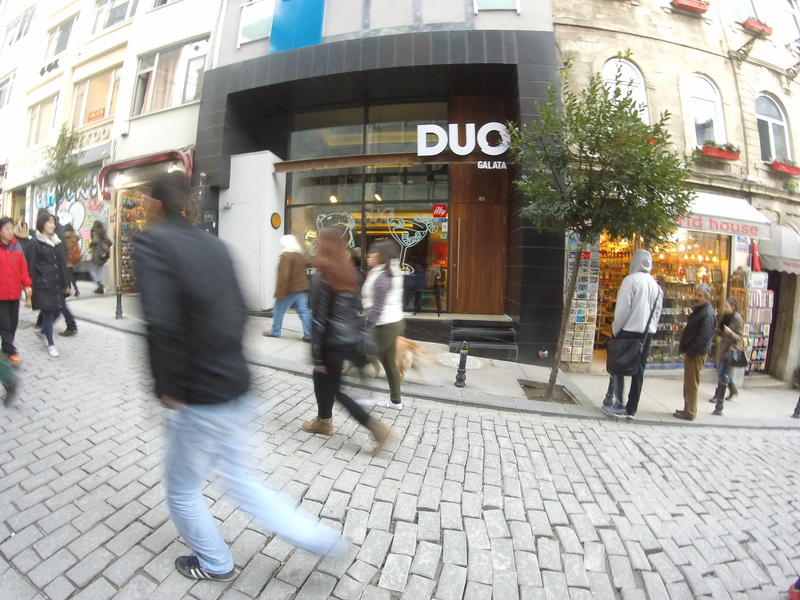 In Beyoğlu (BEY-oh-loo) you wander past ancient tradition interspersed with 21st century hipster chic rubbing shoulders with mosques trading blows with designer clothing fighting for space with stray cats and funky bars. All this ignoring the architecture of the Ottomans, the Genoese, the Byzantine, the ancient Greeks, the…. a lot of folk have swept though here in its long, complex and often turbulent history. More layers: When we arrived at the airport – the “wrong” one! There are two – we were greeted by traffic chaos and a very, very noisy political demonstration. An immediate sense of edge was palpable. 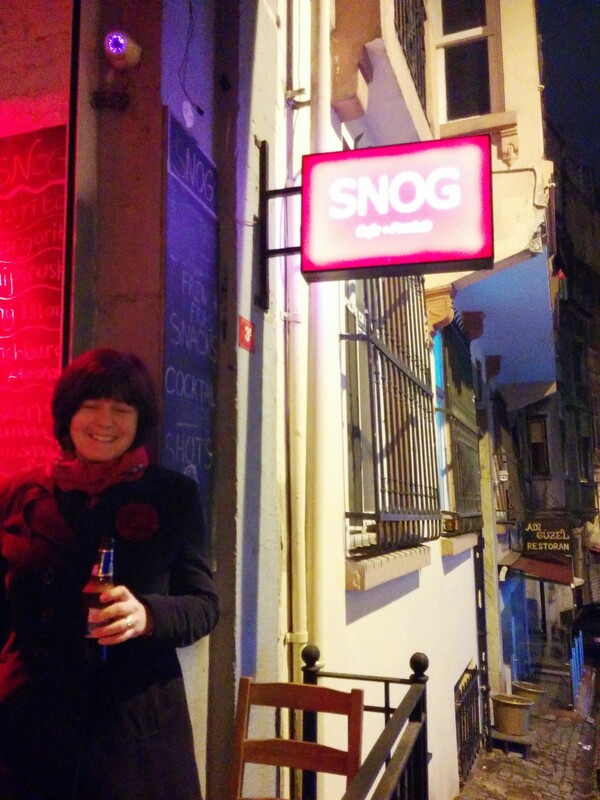 We used the Havatas bus service to travel into town and Mrs B got talking to a young Turk (!) who lived/studies in Belgium and was visiting family. He was a delight and loaded up the “what to see and do” hopper. Getting out a Taksim Sqaure – quiet, but even on a cold night full of portent – child beggars are immediately clinging on to my arm. Unsettling. Although soon forgotten by force of the immediately even-more-unsettling taxi ride to Galata. Our B&B was funky, functional, welcoming, modern and impossible for the driver to find. We walked the last bit once I saw a landmark I could navigate from. It was late, but that didn’t mean that the mosque – handily next door – gave us a lie in. Pre-dawn the muezzin belts out his call to prayer. This is a book. No wait, it’s a Museum. No, definitively a book. Ahhhh, I see: it’s both. It’s Orhan Pamuk’s 2008 book of the same title. The Museum itself – hard to find, deliciously so – is a study in obsession and minutiae like nothing else I’ve seen. We would still be there had we listened to every single word of the (just brilliant) in-house audio-guide. Embarrassingly, neither of us had read the book before visiting which – thankfully – appeared not to matter. That said, I can’t wait to go back having read it. So many layers. Another book recommendation is Joseph Kanon’s close-of-WWII nail biter “Istanbul Passage.” This thriller is loaded with local geography and reading it is enhanced. Riding the funicular at Tunel is fun today, but boy-oh-boy does you can taste the dark, edginess that might have been 70 years ago: I was checking over my shoulder for the secret police who were surely tailing me. Then on a winter’s morn, you can head to a Hamami and get the living daylights steamed and pummeled out of you. Of course, the one thing that everyone eats? Baklava. No, no! The other thing that everyone eats? Turkish Delight? Tea in a tulip glass?! Aagh, no! Kebab dagnabbit. Or as they say in Turkey: kebap. Now everyone in the region claims to own/have invented/copyrighted various foodstuffs, but this bothers your author not a jot. 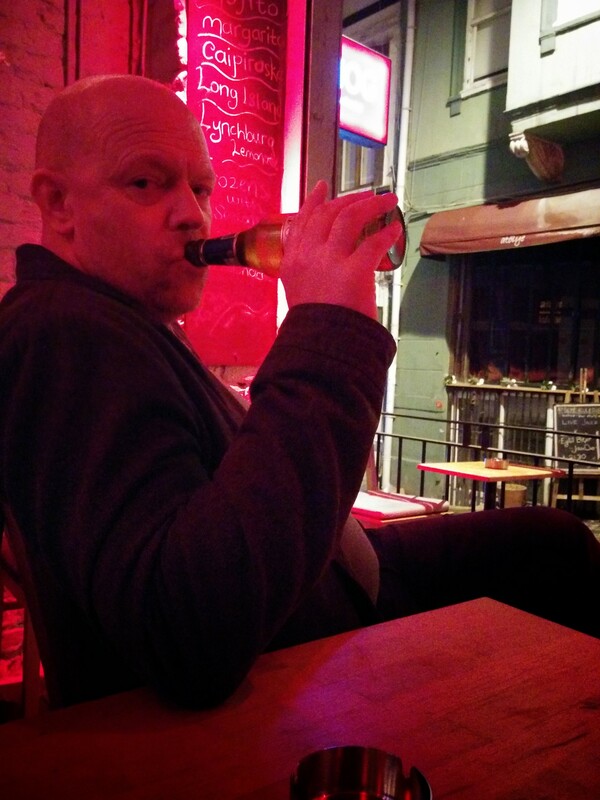 What does bother him rather very many jots is the unfinished business of NOT HAVING A KEBAP! I don’t want to bang on, but will comment that travelling with fussy eaters should always have a “you go your way, I’ll go mine” component built in for at least one mealtime so both parties can get what they want to eat. On the bright side, I have reasons to go back: to revisit the Museum and have a kebap. Those two and the zillion other delights – ahem – that the city has to offer. Istanbul: we have unfinished business and shall return!